Wondershare has released its award-wining PDF Converter Software; it added the feature of detecting scanned PDF. The Wondershare PDF Converter Pro is the latest PDF converter software that can convert native or scanned PDF to Word, Excel, PowerPoint, EPUB, HTML and Text with OCR. the new software released by Wondershare is a wonderful gift for Windows customers. 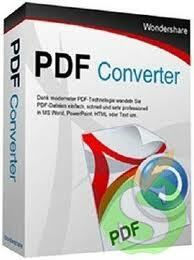 What's new of New PDF Converter Pro 3.2.0:- a) separated the OCR component from the installation package. b) Added the feature of detecting scanned PDF. c) Fixed minor bugs. Fast and accurate OCR recognition and transform - Save image-based scanned PDF to text-based Word, Excel, PowerPoint, EPUB, HTML and Text documents. Support 17 recognition languages: English, Turkish, Greek, German, French, Italian, Portuguese, Spanish, Russian, Polish, Czech, Slovak, Ukrainian, Bulgarian, Croatian, Romanian, and Catalan. Batch and Partial conversion modes - Batch conversion mode: Help you convert up to 200 PDF files at one time, save your time. Partial conversion mode: Help you flexibly convert selected pages or page ranges in the PDF files to Word documents, Excel spreadsheets, PowerPoint presentations, EPUB eBooks, or Text files. Convert encrypted PDF files - PDF Converter also can convert encrypted PDF files which are protected from printing, editing, and copying.